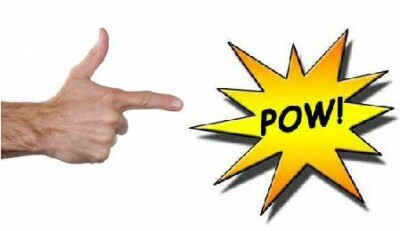 Six Year-Old Boy Suspended After Forming a Gun With His Finger and Saying "Pow!" The boy was given a day off for the pretend shooting. A Maryland 6-year-old was suspended from school for forming the shape of a gun with his hands and saying “pow,” a lawyer for his family said. Robin Ficker said a boy, a student at Roscoe R. Nix Elementary School in Silver Spring, was given a one-day suspension from school with a conference planned for when students returned from winter break for the pretend shooting a week after 20 children and six adults were killed at Sandy Hook Elementary School in Newtown, Conn., The (Springfield, Va.) Washington Examiner reported Wednesday. Assistant Principal Renee Garraway sent a letter to the boy’s parents saying the child had been warned. Ficker said the school has not told the parents what the “similar incident” entailed. “It just shows the overreaction,” the lawyer said. The boy was back in school today.